We hope everyone is having a great start to their Thanksgiving week! While we’re thankful for a great economy right now, storm clouds are gathering as you can see from this week’s news. Interest rate changes have huge effects on how community banks conduct business. A flattening yield curve is one of the surefire triggers that a banker needs to spring into action and make sure all their ducks are in a row. We highly suggest reading at least the first article, and if you have questions, contacting us about what measures to put into place at your bank. Other articles this week cover the effect of trade wars on agricultural and farming loans, how many interest rate hikes are on the way next year, and if one is coming in December. 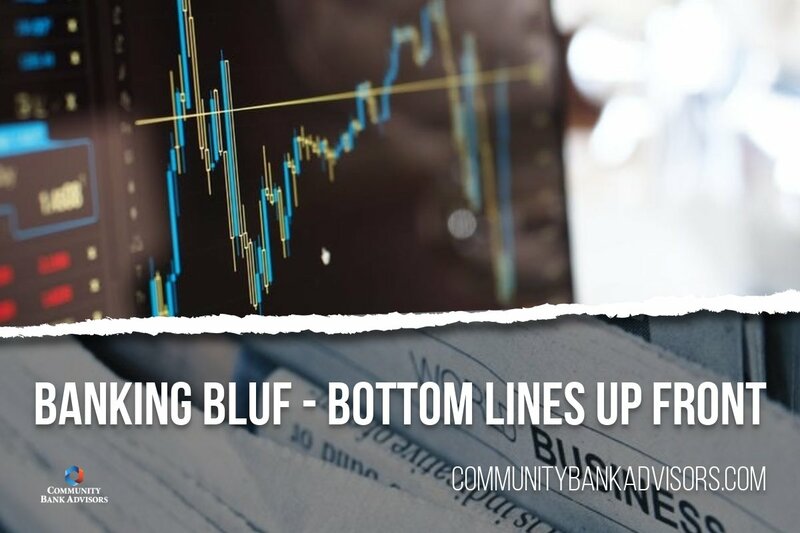 If you need help understanding how any of these news items could affect your bank, please don’t hesitate to reach out to us at (918) 791-0699 or by emailing us at info@communitybankadvisors.com. Banks haven’t changed their lending policies so far in response to the flattening of the yield curve but would if it inverted, a new Federal Reserve survey finds. The Fed’s questions – an addition to the senior loan officer survey it conducts each quarter – found that banks would tighten standards or price terms across every major loan category if the yield curve were to invert. Concern about a flattening yield curve has been a talk of financial markets this year, particularly in the summer when the curve was the flattest it’s been since the boom year of 2016. The Fed’s quarterly senior loan officer survey found that standards for commercial and industrial loans eased in the third quarter. Banks left their standards on commercial real estate loans unchanged, while demand for those weakened as well. Since the end of 2017, the number of American prospective homebuyers has steadily fallen, according to the latest Housing Trends Report from the National Association of Home Buyers (NAHB). “Home price gains and rising interest rates are slowing down the housing market, particularly in high-cost areas and among first-time buyers who are more severely impacted by price increases,” NAHB chief economist Robert Dietz recently told Livabl.com. 13% of American adults are planning to buy in the next year, and 58% of these prospective buyers will be first-time homeowners. This is down nearly 25% in the 4th Quarter of 2017, and down 14% from last quarter. Millennials are the most likely generational group to buy within the next 12 months at 19%, with Gen X following at 13%. More than 40% of buyers in each generational group are already actively searching for a home. Of those planning to purchase, almost half are looking at existing homes, while only about 18% are looking at new construction. About 80% of Millennials and Gen Xers can afford fewer than half of all the homes available in their markets. Federal Reserve officials believe they can keep raising interest rates well into 2020. But the financial markets think a slowdown in economic growth from this year’s stimulus-boosted pace will force policy makers to rethink their monetary tightening as soon as early next year. The US Federal Reserve will continue the current pace of normalizing its monetary policy because the American economy is doing “exceptionally well,” though this will create a tougher economic environment for emerging markets including China, its former chair said on November 13th. The Fed is scheduled to meet December 20th, so Yellen’s comment implies a rate increase then, followed by up to three increases in 2019. The Fed takes account of US domestic demand, not global demand, in making its rate decisions, Yellen said. However, if international factors influence US domestic demand, then it would affect the Fed’s thinking. The outlook for further Fed rate hikes is supported by the American economy, which is performing “exceptionally well,” Yellen said, citing a 50-year-low unemployment rate of 3.7%, and inflation settling near the Fed’s target of 2%. Although growth in the housing market is slowing, the number of million-dollar homes in the United States is on the rise, creating pockets of affluence in a market experts say is becoming increasingly unaffordable. According to research on the website Trulia, roughly 3 million homes across the country today are worth $1 million or more. This amounts to around 3.6% of the entire housing market; just 6 years ago, only 1.5% of all homes had million-dollar price tags. California, Honolulu, Seattle, and Long Island saw major increases in homes worth $1 million or more. The average home price in August rose by an annualized 5.8%, this is the fifth month in a row that price appreciation slowed, and dropped below the 6% threshold for the first time in a year. Price gains are slowing, but this isn’t making houses any more affordable – because mortgage rates are rising, which is cooling the demand for homes. The Mortgage Bankers Association found that mortgage applications for both purchases and refinances fell by 4% for the week ending November 2nd, a nearly 4-year low. Mortgage application volume fell 3.2% last week compared with the previous week. Volume was 22% lower compared with the same week one year ago. “Recent volatility in the financial markets and increasing rates continue to adversely impact mortgage application activity, even as the general economic outlook remains positive,” said Joel Kan, an MBA economist. Mortgage application to purchase a home fell 2.3% for the week to the lowest level since February 2017. Applications to refinance a home loan, which are highly rate sensitive, fell 4.3% to the week and were 40% lower compared with a year ago – the lowest level in nearly 18 years. Atlanta Fed President Raphael Bostic said the central bank is “not too far” from reaching a “neutral” short-term policy rate, a term the Fed likes to use to describe a level that is neither stimulating, nor restrictive for growth. This assessment seems to counter a comment last month from Fed Chairman Jerome Powell, who said the Fed is “a long way” from neutral. Central bank officials have pointed to three more moves in 2019 and one or two more in 2020, which the market is implying just two more increases in 2019 before a pause. “I think a risk management approach requires that we at least consider the possibility that unemployment rates that are lower than normal for an extended period are symptoms of an overheated economy,” Bostic said. Among other headwinds he noted are rising credit card delinquencies and a boost from fiscal stimulus that could fade, creating weakness in the economy. Chicago Federal Reserve President Charles Evans is sticking with his projection that interest rates could comfortably run above the so-called neutral rate. This means the Fed could hike rates up to four times next year, Evans said Nov. 16th at the Fixed-Income Forum in Chicago. In November, the Fed kept its benchmark target to rates unchanged in a 2%-2.25% range, but a quarter point December hike remains widely anticipated by markets. Evans stressed Friday that the neutral policy is a “vague” notion. He puts the neutral Fed-funds rate at 2.75%, but says other Fed members may have a different idea. Evans thinks the Fed funds rate could conceivably go as high as 3.25%, or 50 basis points above “neutral,” next year. Report by the St. Louis Federal Reserve Bank says farm income is continuing to decline within its district. The Fed says the Third Quarter report released this week was the 19th straight survey in which most banks indicated that farm income was on the decline. Bankers within this district also cited concerns over low prices for crops. Soybean prices have dropped significantly since July. The Federal Reserve says farm income continued to decline across the Plains and western states this fall because crop prices remain weak. The Federal Reserve Bank of Kansas City says more than half of the bankers in the region say that farm income is lower than last year because the on-going trade dispute has hurt crop prices. These bankers say farmers are borrowing more money because their costs are increasing while they are bringing in less income.